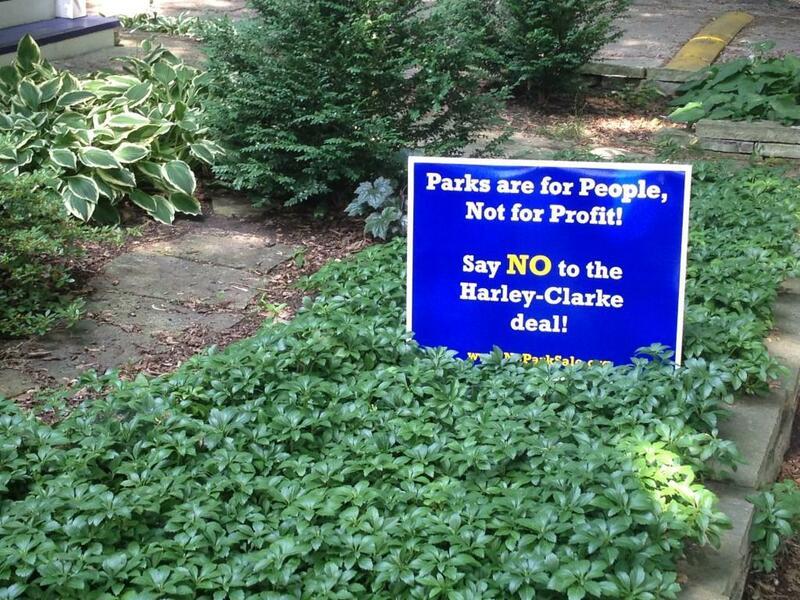 Several yard signs against the possible sale of the Harley Clarke Mansion have been planted along Central Street. The city says it can no longer afford to maintain the lakefront property. The Evanston Art Center on Monday distanced itself from a growing campaign against the potential sale of the Harley Clarke Mansion, saying it plans to move out of the city-owned building despite activists’ efforts. “We have not instigated any of the various petitions, newspaper editorials, yard signs or letters and emails sent to City officials … that claim we will be ‘thrown out’ of the building if and when the building is sold,” Norah Diedrich, the art center’s executive director, said in a statement. The center held a news conference Monday to clarify its position as Evanston looks to sell the lakefront mansion, 2603 Sheridan Road. The city says it can no longer afford to maintain the building, which it rents to the center for $1 a year in an effort to support the local arts scene. 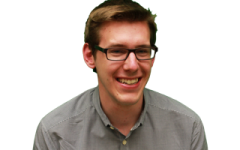 Diedrich said the center began “serious discussions” about a new facility in 2007 and is now exploring its options with an architecture firm, fundraising consultant and team of financial analysts. The center is also consulting city officials to “identify a suitable building(s) or site for the organization’s future home,” she said. Evanston billionaire James N. Pritzker’s Tawani Enterprises Inc. has proposed turning the 2.5-acre property into a 57-room boutique hotel with underground parking. Under the investment group’s plan, the adjacent Lighthouse Beach would remain open to the public. Critics of the proposed sale say it would only be a matter of time before Pritzker’s private establishment absorbs the popular beach, the only one in Evanston north of the Northwestern campus. An online petition against the possible sale had nearly 1,700 signatures by 10 p.m. Tuesday. A Facebook page with a similar message had more than 850 likes. Responding to the outcry at a City Council meeting last month, Mayor Elizabeth Tisdahl reiterated the city does not have the money to fully renovate the mansion. Tags: 2603 Sheridan Road, boutique hotel, City Council, Elizabeth Tisdahl, Evanston Art Center, Evanstonians, Facebook, Harley Clarke Mansion, James N. Pritzker, Lake Michigan, Lighthouse Beach, Norah Diedrich, online petition, Sheridan Road, Tawani Enterprises Inc.